Date: Saturday, May 18, 2019. 1pm-3pm. The bakeoff is open to anyone regardless of their ethnic background. The bakeoff is open to both amateurs and professionals. Contestants may work individually or as a team. Deadline to register for the bake-off is May 9, 2019. Bakers may choose to also sell loaves of bread at the event. There is a $20 vendor charge which must be paid in full by May 9, 2019 or you will not be allowed to sell at the event. 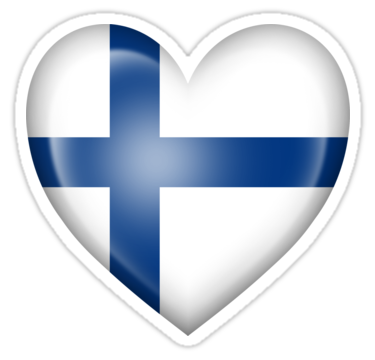 The bread baked must be a variation of a Finnish recipe containing yeast and cardamom. Contestants should plan to arrive at 12pm to set up their station and must be ready to serve the public by 12:45pm. Upon arrival, check in at admissions and a volunteer will assist you to your table to set up. In addition to your bread, feel free to bring small decorations (optional). White tablecloths will be provided. Contestants are guaranteed a 3’ wide table space, which means you may be asked to share a 6’ table with another contestant. Contestants are encouraged to share recipe cards with the Historical Society and the public. Professional bakers may bring business cards to share. Best in Show Prize- Amateur: $50. Amateur contestants will submit one loaf of bread to the judges (not sliced). Each contestant will be assigned a number for judging. Submissions will be judged on a scale of 1-5, with 5 being the highest. Judges will consider taste and appearance when judging. The contestant with the highest score will win $50 and a small prize pack. Best in Show Prize- Professional: $50. Professional contestants are defined as those bakers who sell loaves of bread to the general public at any point throughout the year. Professionals will submit one loaf of bread to the judges (not sliced). Each contestant will be assigned a number for judging. Submissions will be judged on a scale of 1-5, with 5 being the highest. Judges will consider taste and appearance when judging. The contestant with the highest score will win $50 and a small prize pack. People’s Choice Prize: $50. Contestants will bake 2 (or more) separate loaves of bread for the public to sample. Bread should be sliced thin with at least 15 slices per loaf. These loaves will help you win the People’s Choice award as visitors will be sampling and voting for their favorite. Having more than two loaves available for samples may increase your odds as more people will be able to taste your bread. The contestant with the highest number of 1st place votes will win $50 and a small prize pack. In the case of a tie, the winner is based on the highest number of 2nd place votes. In the case of a tie (again), the winner is based on the highest number of 3rd place votes. Prizes will be announced at the end of the event; you must be present to win. Rules are subject to change. 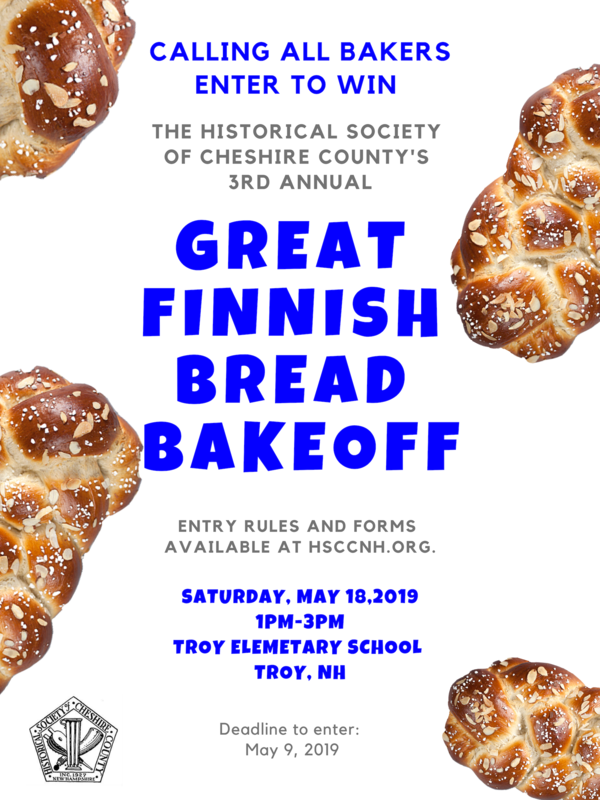 The Great Finnish Bread Bake-off is co-hosted by the Historical Society of Cheshire County in Keene, NH, the Finnish Heritage Society-Sovittaja of Rutland, MA. THANK YOU to our SPONSORS! Seppala Construction and Hamblet Electric! Would you be willing to share your recipe with the Historical Society/the public?